Our custom wrapped mints are soft or chewy centered and melt in your mouth! They contain pure peppermint oil. 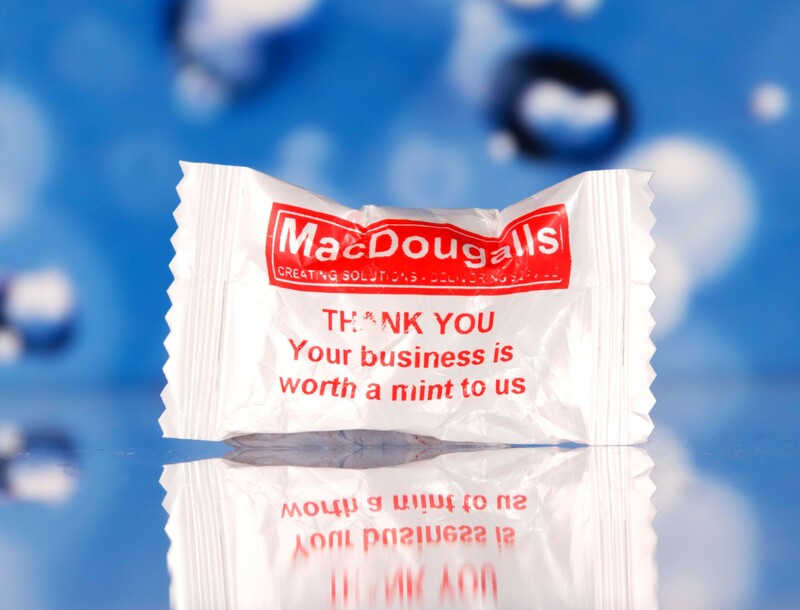 Keep your customers happy with a small InvestMint in our standard range of mints or custom brand each individual wrapper with your business or organisation logo and message. It is a proven way of growing goodwill by offering your customers a positive feel-good experience. We offer a standard range of EncourageMints (inspirational sayings),RefreshMints (various thanks), Hospitable TreatMints and CompliMints, Business AdvertiseMints and Seasons Greetings. Our mints are soft centered or chewy and melt in your mouth. They contain pure peppermint oil. Ask for a quote for our information pack.